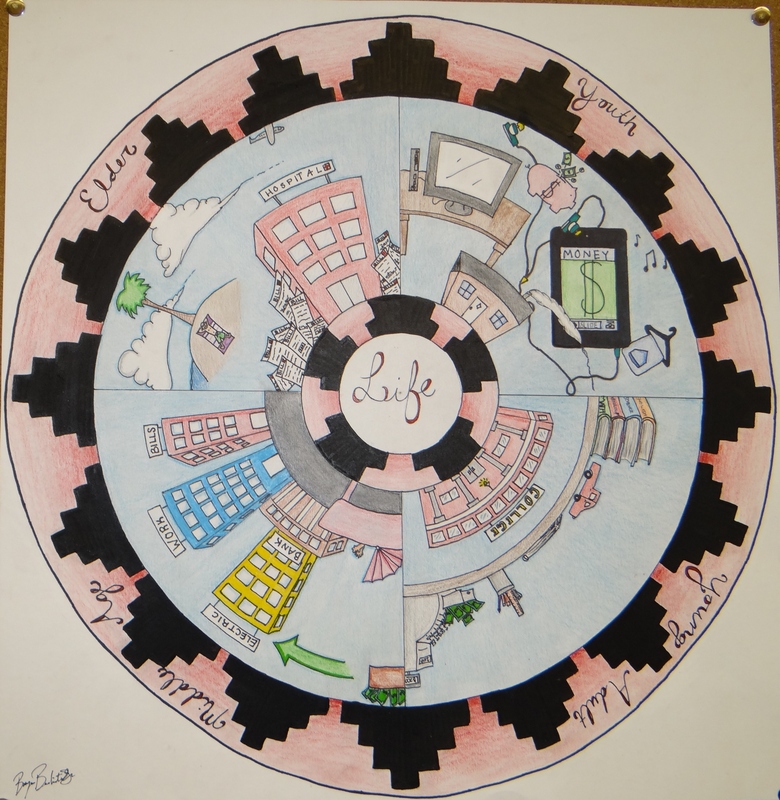 In an effort to build Native youth financial literacy, First Nations worked with five art students at Miyamura High School in Gallup, New Mexico, to produce creative, camera-ready posters addressing various financial education topics. 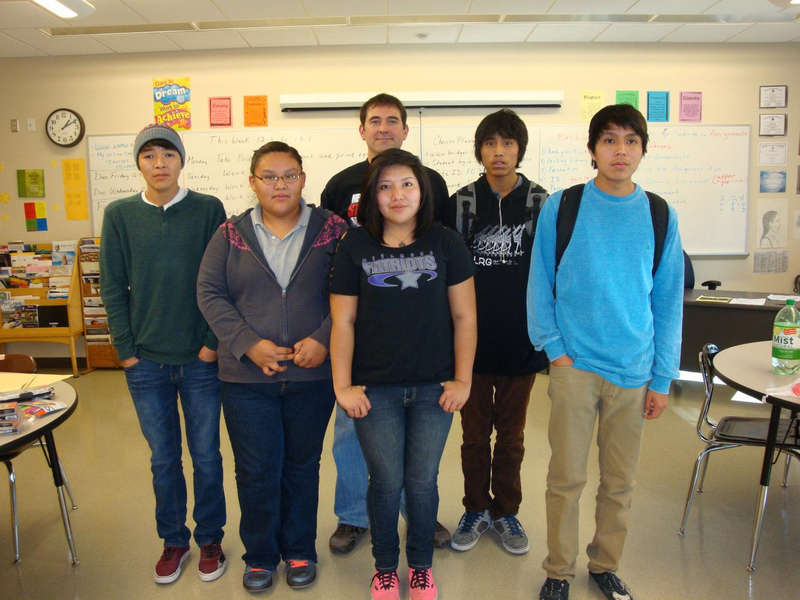 Miyamura art teacher Tine Hayes, who worked with First Nations to facilitate the project funded by the FINRA Investor Education Foundation, selected five especially gifted art students to participate. 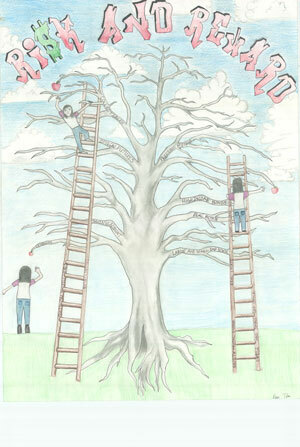 The students were commissioned for their artwork and received a payment upon the completion of their finished piece. 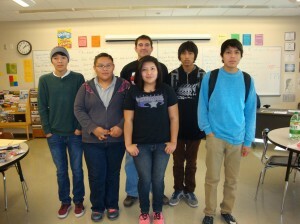 First Nations financial education consultant Shawn Spruce visited the high school in December 2012 to lead the art students in three three-hour sessions. 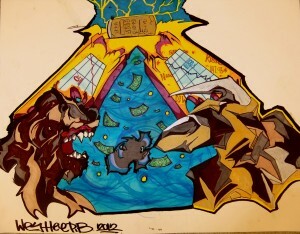 He introduced various financial concepts and asked them to begin drawing a unique piece that illustrated “Risk/Reward,” “Capital Appreciation,” “Diversification” or the “Circle of Life.” One student, Westlee Poor Bear, was inspired to create a piece of art that captured both the up and down stock markets, titled “Bears vs. Bulls.” Another student, Kyle James, drew a piece titled “Invest in Yourself” that connected financial skills with his passion for wrestling by illustrating how both require dedicated practice and discipline. Teacher Tine was very supportive of the kids receiving compensation for their work. 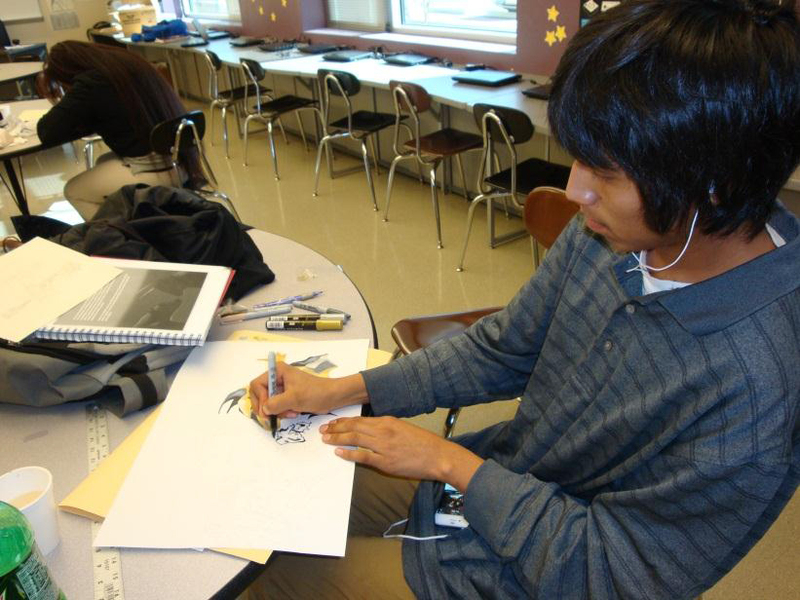 According to Tine, it gave the youth experience learning how to cater their artwork to the needs of a client, and it demonstrated how art can be pursued as a career. 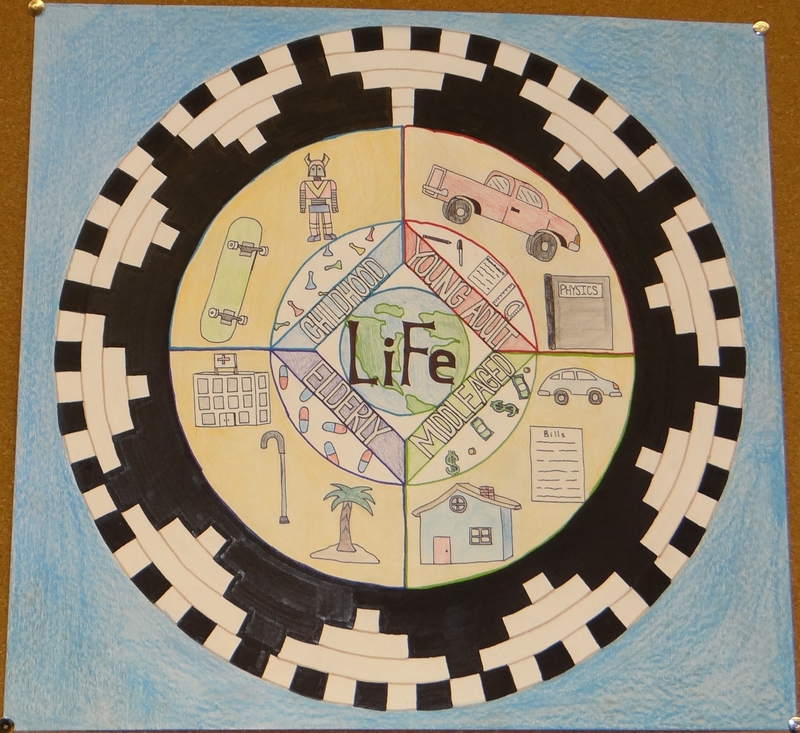 After the students took a couple of months to put finishing touches on their artwork, Shawn followed up to present them with their compensation and to offer a complimentary two-hour financial education class. 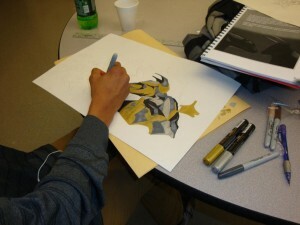 The session topics mostly focused on instructing students on how they could make responsible saving and spending decisions with the payment they were receiving for their artwork. The posters were used as part of First Nations’ national “My Green” campaign (see separate story) that helps youth who are receiving large minor’s trust or per-capita payments (“Big Money”) make wise financial decisions.